Detailed with screw down around the bezel, this masculine watch by Armani Exchange is filled with manly elegance and practicality. A rough and tough timepiece that will still keep your style in tact. 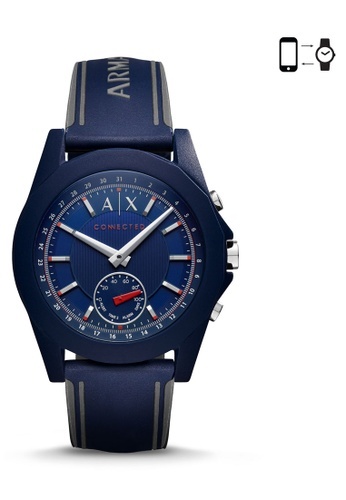 Can't find Armani Exchange Men's Blue Dial Hybrid Smartwatch in your size?